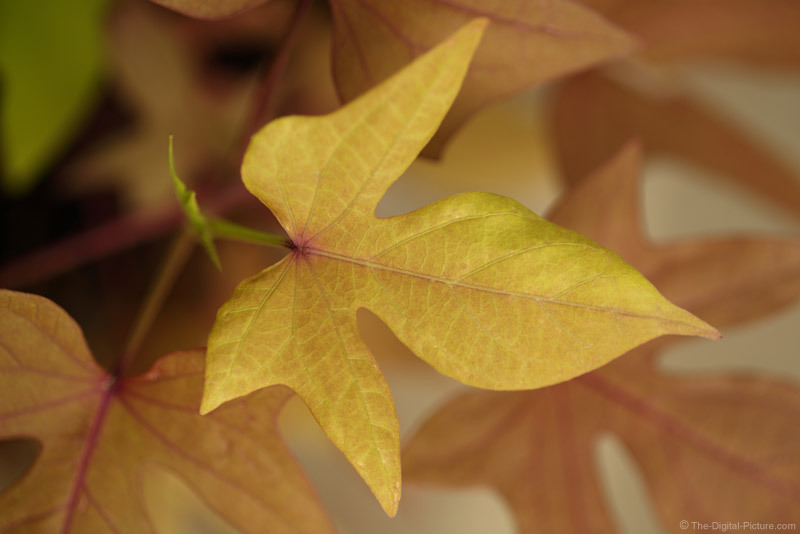 By placing the camera's line of sight perpendicular to the plane of the plant leaf, much of the leaf remains in focus even with the shallow DOF producted by the f/2.8 aperture at this close distance. The more distant leaves obviously go out of focus. The primary leaf is fully contained in the frame, but the background leaves go beyond the frame into the corners.